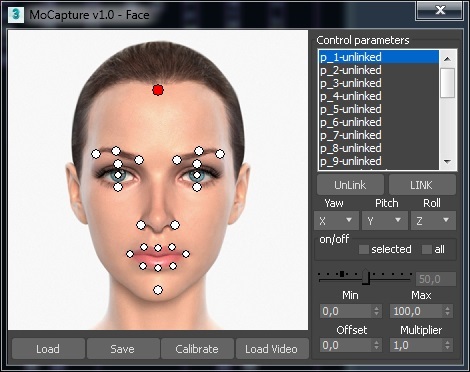 MoCapture is the plugin for 3dsMax, that uses video-based technology for motion capture and animation directly inside a 3dsMax. Forget about expensive equipment, sticky markers, endless importing and exporting from and to several 3D programs. 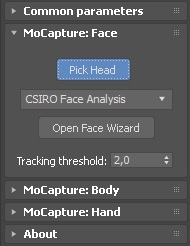 With MoCapture, all you need is sit down in front of a webcam, act out the expressions you want to apply to your 3D character and watch it happen in real time within your 3dsMax.